I have been waiting for this cookbook for a long, long time. I saw the advance cards at Paleo FX after hearing Sarah Ballantyne, aka The Paleo Mom talk about what to eat on your AIP plate. I had just read through her Paleo Approach book about the Autoimmune Protocol and was really delving into the science of autoimmune diseases, such as Celiac disease which is near and dear to my gut lining, and how to enjoy whole foods and great recipes even while eliminating common items in the Standard American Diet. I am especially interested in her information on hormones and their effect on our health. In fact, when the fog of our recent loss began to clear a little, I reached for her Paleo Approach book first and searched the section on hormones. I need to focus on getting my full health back and strengthening my body over the next 3 months. And now I have this book to lead the way! It arrived a few days ago and the timing was perfect. The Paleo Approach Cookbook has a lot of information regarding autoimmune disease, setting up a Paleo kitchen with AIP (Auto-Immune Protocol) guidelines, Sarah’s favorite tools, tips for decreasing contamination with non-AIP, non-Gluten foods, meal plans, eating on a budget, and reading food labels. This last section is one of the best guides I have ever seen on the ever-changing food labels. Did you know there are over 100 items derived from CORN that can be found on food labels? If you are sensitive to corn, this is crucial information and a key place to start figuring out why you are not eating obvious corn but your inflammation symptoms are not going away. She has guides for soy, dairy, gluten, sugar, and dairy. The recipes are where her love for healing foods really shines through. Each recipe has a nutritional breakdown of macronutrients, vitamins/minerals, substitutions for those on a looser Paleo but not AIP or FODMAP plan, prep/cook times, special tools, and fun facts. The recipes are just fun to read! 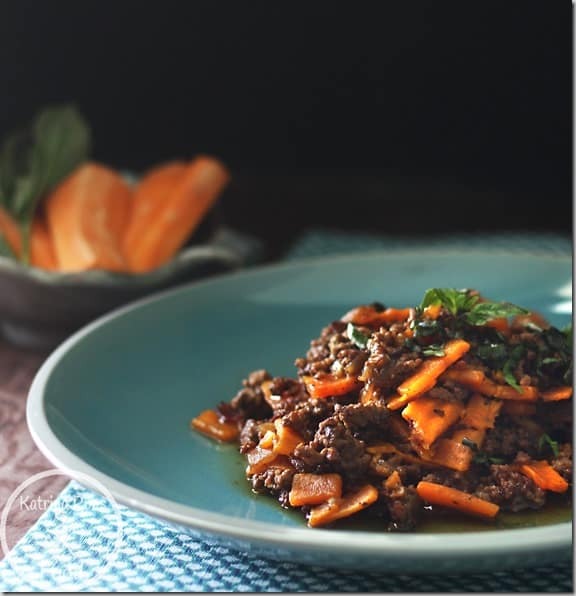 I started with a slow-cooking bolognese sauce without tomatoes and using sweet potatoes in place of gluten-free pasta. The flavor was out of this world. I love to cook with tomatoes, but I wanted to stick to recipe fidelity for the purpose of review. I’m glad I stuck with the ingredients in this one. 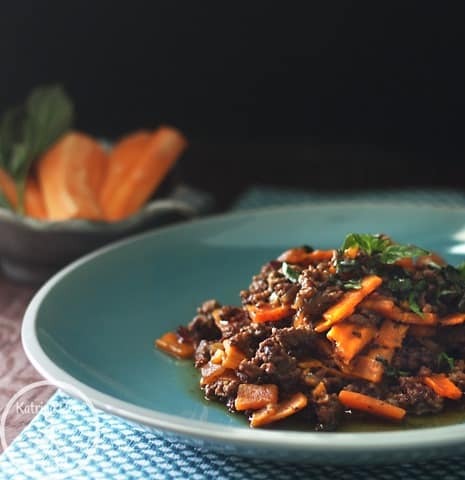 If you do not buy this book for no other reason (and really….the food labels section and Paleo basics are reason enough), THIS recipe will become a weekly staple. There is room for versatility with added spices and vegetables, depending on your food plan. 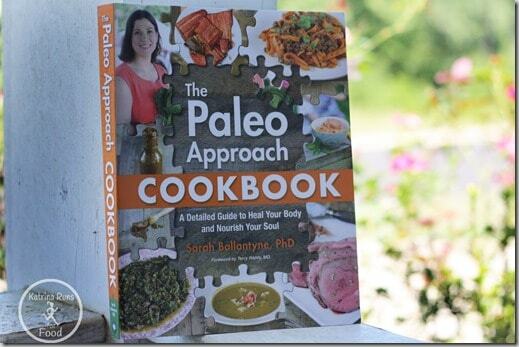 The Paleo Approach Cookbook goes on sale TUESDAY, August 26th. Check out Amazon for ordering. Previous Post: « Now what? Sounds like an awesome cookbook. I’m gluten free so I love hearing more about how food affects us.